Cubby’s Canine Castle is conveniently located on DeKalb Pike (Rt. 202) in Blue Bell, PA. Serving the area of lower Montgomery County, Cubby’s is conveniently located for those who live and/or work in Blue Bell, Norristown, Collegeville, Eagleville, Jeffersonville, Harleysville, Lower Gwynedd, Montgomeryville, Ambler, Plymouth Meeting, East Norriton, North Wales, Lansdale and Skippack. Our facility consists of two buildings totaling almost 8,000 square feet, and multiple outdoor play yards totaling 10,000 square feet!!! Our facility has been designed to provide the maximum enjoyment for your pup as well as safety and security. We have both indoor and outdoor play areas. Our play areas have tents for shade, play sets for your dogs to play on, furry friends for your dog to play with all day and are supervised by our dedicated staff. worked long hours and traveled extensively, spending many days and nights on the road. When she was working late or traveling, her pup Cubby went to daycare and had a blast! Sarah never had to worry about Cubby since she had a great daycare she used and always knew that Cubby was well cared for, well loved by the staff there and most importantly, well-exercised!!! She understands your need for a daycare facility to send your pup where they will receive the same high standard of care and enjoyment you provide for your dog at home. She has built Cubby’s Canine Castle with that in mind. Prior to opening Cubby’s, Sarah worked at doggie daycare, for two and a half years. During her two and a half years at Karen’s, she gained hands on experience and a vast knowledge of doggie daycare operations and used that experience to design Cubby’s Canine Castle. 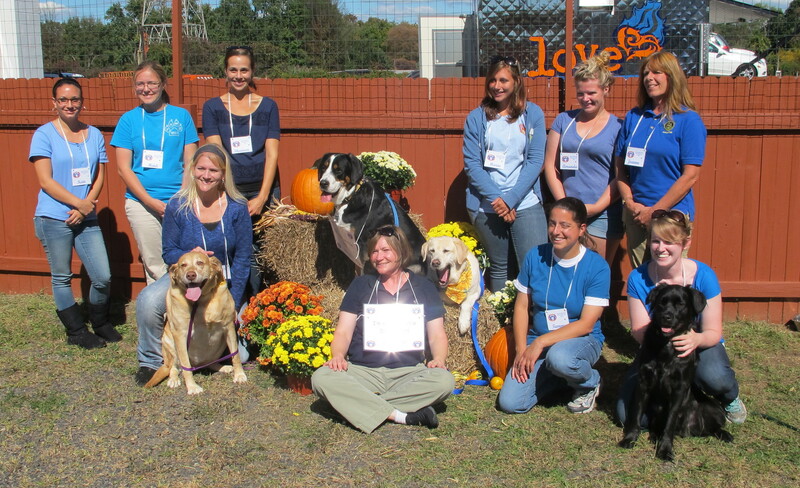 Sarah is also a Senior Volunteer with Brookline Labrador Retriever Rescue, responsible for evaluating dogs to bring into the rescue and finding labs in need new homes. 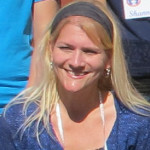 She is a member of the North American Dog Daycare Association (NADDA) and is a certified Pet Care Technician through the ABKA. And is a member of the Association of Professional Dog Trainers. 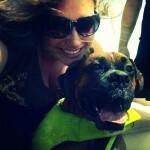 While not working at Cubby’s, she enjoys spending time with her pups training, swimming and hiking. 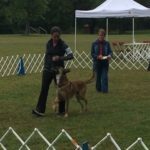 She competes in AKC Obedience and Rally with her own dogs and has put a Beginner Novice title and Rally Novice title on her 12 year old lab Cubby. She is currently working to teach her Greater Swiss Mountain dog the art of carting and enjoys doing agility for fun. On occasion she gets to golf and do a little bit of work around the yard. 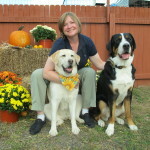 Karen has been keeping your dogs at Cubby’s clean and pretty since April, 2007. Karen has been grooming dogs for the past 21 years. grooming and has done the Nike emblem and Olympic rings! Karen lives in Lansdale with her husband and three teenage children and shares our love of dogs, having a yellow lab of her own, Abby. Lindsay started at Cubby’s in August of 2010 as a daycare attendant, became an Assistant Manager in 2011, and started her current position as General Manager in May of 2013. Before starting at Cubby’s she studied Psychology at Albright College followed by two years of doing volunteer work with AmeriCorps NCCC and City Year Greater Philadelphia. 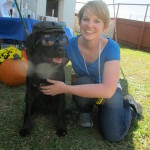 She gained her previous dog experience throughout her years at college and service at numerous animal shelters, including working with pets affected by Hurricane Katrina in New Orleans. Learning about dog behavior has been her favorite thing about working at Cubby’s. She also loves all her canine friends she has made. When she is not at Cubby’s, she enjoys painting, as well as collecting other hobbies. She has one dog of her own, a mutt named Banjo. Tammy joined Cubby’s in May of 2012 with 11 years of experience working/managing at another doggie daycare. She currently works fulltime at VRC , a Veterinary Specialty Center and Emergency Care facility. 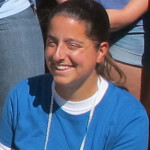 Tammy graduated in 2003 from Delaware Valley College with a degree in Small Animal Science. She worked closely with Delta Society through their Pet Therapy program. While at Del Val and previous doggie daycare she was actively involved in Canine visiting programs at local nursing homes and schools for children with developmental problems. She is an AKC Canine Good Citizen Evaluator. Tammy also has a private pilot license for single engine airplanes, so if she is not working or pet-sitting you can probably find her at the local airport with other pilots! Chris joined Cubby’s in March of 2015 with a lifetime of experience owning, caring for, and loving dogs. He has relished the experience and teachings of Sarah, Lindsay, Maria and his coworkers, which has enabled him to excel at and enjoy his work every day. When not working, Chris enjoys mobile esports and music production. He hopes to one day have a family of his own that he can pass his love of dogs down to, as it was passed down to him. 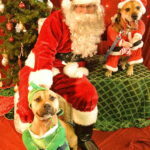 One of Chris’ favorite responsibilities at Cubby’s is playing Santa at our annual Pictures with Santa Paws fundraiser for the SPCA. Here he is pictured with his second cousins Loki & Dexter! Breanna joined the Cubby’s team in the spring of 2015. As a prior employee of a canine health food brand, Breanna came to Cubby’s knowing that healthy dog=happy dog! Breanna is earning her degree in Biology at Delaware County Community College.